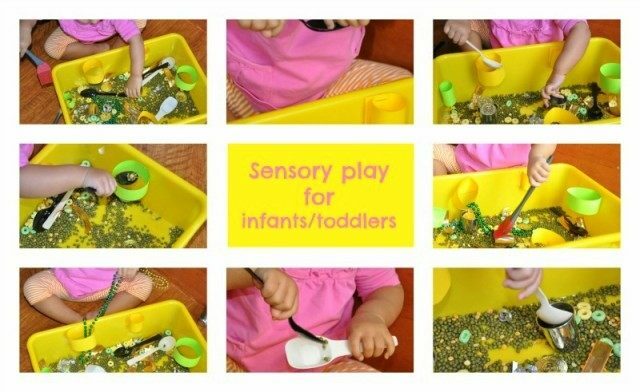 So much has been said about the importance of sensory play for young children. A wonderful post by Not Just Cute explains the importance of stimulating senses through play. 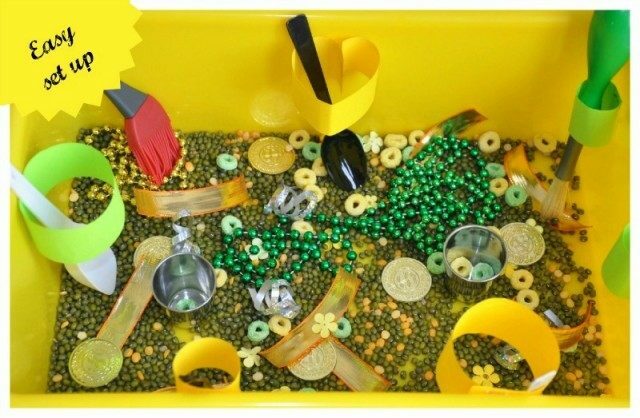 Today’s post is a St.Patrick’s Day inspired sensory bin created for my almost toddler ( at 15 months) which turned out just as fun for my preschooler. 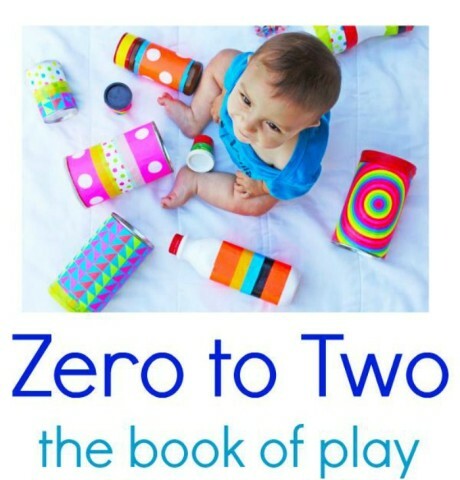 Incorporating play that can simultaneously entertain the two age groups is the best part of the activity. Choose a bin that is a deep enough to hold the lentils so they don’t spill out with every action. Create different sizes of circles from paper strips and stick them to the sides to create challenges. The set up: Add the beans, peas and all the fun stuff into the bin and give it a gentle mix. Add the spoons, cups and brushes. Your set up is now complete and the kids are ready to play. 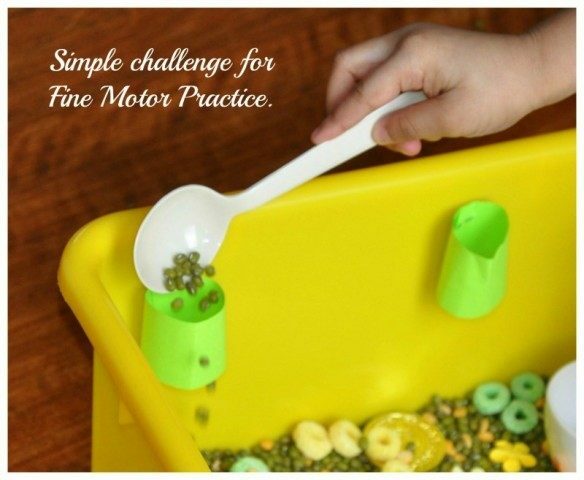 Challenge the preschooler to drop the beans through the smallest circle and into the cups. See how many tries it takes to fill the cup. 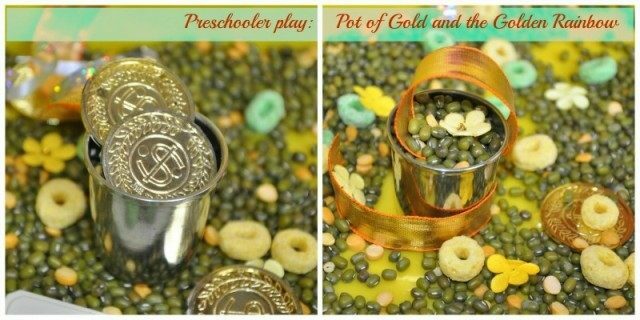 Hide the coins and let your tot find the hidden treasure. 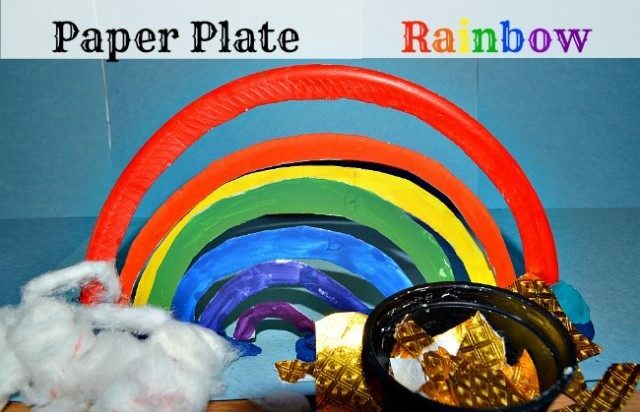 My 4 yr old collected the golden coins to create her pot of gold and also used the ribbons to make a simple golden rainbow. So there’s the surprise element of Imaginative play. My 15 month old enjoyed all the different sensory elements in the bin. 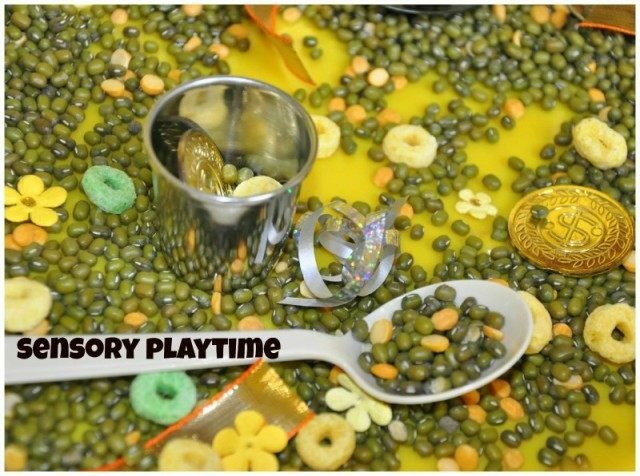 Loved to transfer the beans and peas between the spoons. Used fine motor practice to scoop, dump and sweep the beans in the bin. 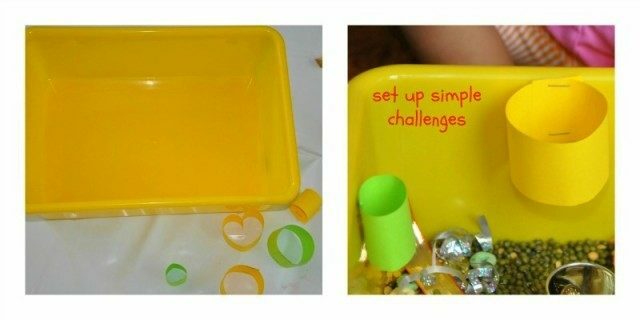 Sensory bins are easy to set up and provide ample entertainment and learning skills. 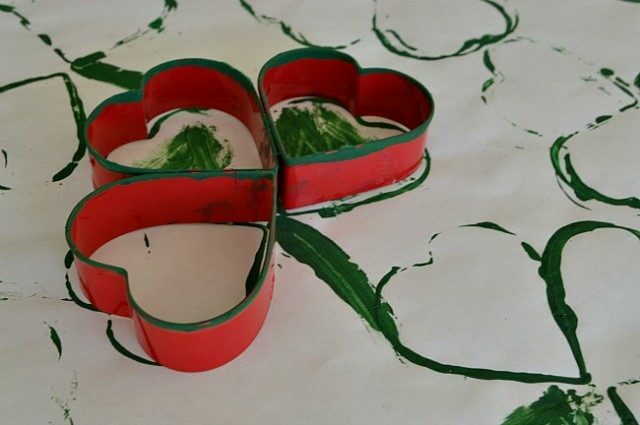 Other St. Patrick’s Day themed activities we have shared.